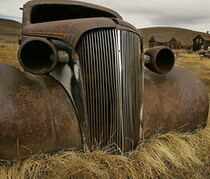 Here you may learn about the most interesting world ghost towns. Check out their locations. Here are some ghost towns you may visit around the globe. Ghost towns in Canada are seen in Northern Ontario, Central Ontario, British Columbia, Saskatchewan, Newfoundland and Labrador and in Quebec. These towns were logging towns or dual mining and logging sites, often developed at the behest of the company. In BC, they were predominantly mining towns and prospecting camps as well as canneries and, in one or two cases, large smelter and pulp mill towns. This province has more ghost towns than any other jurisdiction on the North American continent, with one estimate at the number of abandoned and semi-abandoned towns and localities upwards of 1500. The ghost towns of Humberstone and Santa Laura Saltpeter Works in the middle of the Atacama Desert in Chile were declared UNESCO World Heritage Sites. The mining camp of Sewell high up in the Andes of Central Chile also became a UNESCO World Heritage Site. Guyanan town Jonestown became a ghost town because of the mass suicide of the Peoples Temple community that lived there. Real de Catorce in Mexico was once a flourishing silver mining town in northern Mexico. There are plenty of ghost towns in the American Great Plains, whose rural areas have lost a third of their population since 1920. In the state of Kansas alone there are more than 6,000 abandoned sites of settlement.